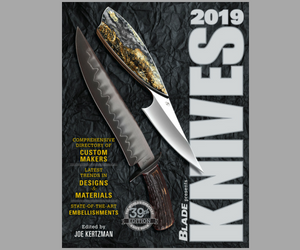 A proposed Boston ordinance requiring the licensing of “convenience stores” that sell certain knives was presented to the Boston City Council earlier this week, the Knife Rights e-mail newsletter reported. The council had tabled action on the proposed ordinance Sept. 8. “This proposal to license so-called convenience stores in order to be able to sell knives [with blades] 2 inches long and longer doesn’t accomplish anything but cost businesses additional hassle and money, which might well succeed in [the] ultimate goal of making it impossible for law-abiding citizens to buy a knife at their local convenience store. That is discriminatory against both citizens and these businesses,” the newsletter stated. According to the newsletter, the businesses may decide it is too much trouble and expense to bother with knives anymore, which is obviously what the proposed ordinance’s supporters want. “But this will not make a dent in crime or violence,” the newsletter stated. You can review the ordinance at www.kniferights.org/BostonOrdinance.pdf. As the newsletter noted, only honest citizens and businesses would be impacted. No one wanting a knife will have much difficulty buying one someplace else because most other stores except the proposed ordinance’s ill-defined “convenience” stores are purportedly exempted from the licensing—at least for now. “No regulation of knife sales will stop violence,” the newsletter observed. According to the newsletter, Boston code already restricts sales by city-licensed retail stores of knives with blades over 2 inches long to minors. If you are a Boston citizen, contact your councilperson and express your opposition to this proposal. Visit www.cityofboston.gov/citycouncil/councillors or call 617-635-4500 and ask for your councilperson. Or, e-mail Mayor Tom Mennio at mayor@cityofboston.gov, or call his office at 617-635-4500. Previous articleLawsuit Continues Against Anti-Knife NYC D.A.